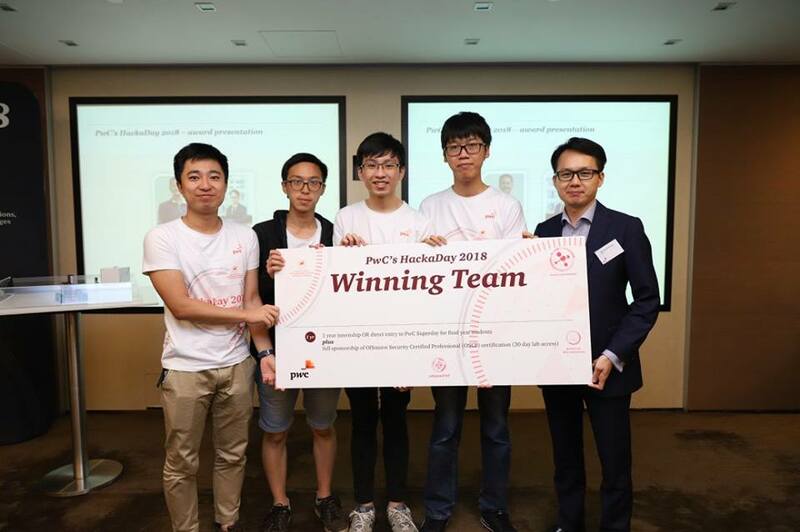 We were delighted to know that the CUHK team "g33z" won the PwC Hackaday 2018. CUHK has won this Inter-University Capture The Flag (CTF) competition in HK two years in a row. Congratulations to all team members and their great hacks! There were nine teams competing in this intensive game this year. CUHK, CityU, HKUST and OUHK sent 2 teams and PolyU had one. The CUHK team "g33z" got the Champion and another CUHK team "No.4" got the fourth place. Members of "g33z" included: Siu Chun CHAN (MIEG), Shing Yuet LEUNG (MIEG), Cham Fei TONG (CS), and Yihui ZENG (MATH). They are all Final Year students.